Live Nation is pleased to announce that Sting will perform in Astana this summer as a part of his celebrated Symphonicity world tour. 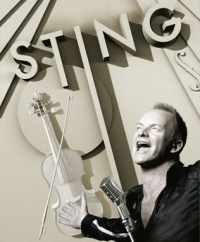 Following sold-out performances across North America, Europe and Australia, Symphonicity finds Sting performing his greatest hits re-imagined for symphonic arrangement, accompanied by a symphony orchestra and band, conducted by Sarah Hicks. On July 4, 2011, the Symphonicity tour will appear at the Republic Velotrack "Sary-Arka" in Astana, Kazakhstan. This will be the final concert added to the Symphonicity tour this summer. Fan Club sales for Astana begin at 10AM (local time) on Wednesday, June 1st. As tickets will simultaneously go on sale to the public, a number of tickets have been reserved exclusively for fan club members.